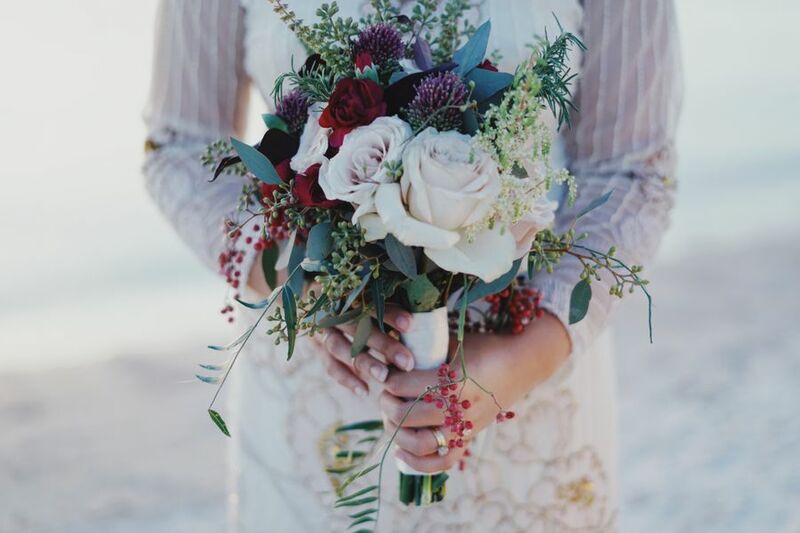 Your wedding day should be as unique and individual as you. A true expression of your love for each other. It’s also your day to shine in the spotlight. Don’t let anyone try and tell you that things must be done in a certain way. Especially when it comes down to what you are wearing. It only needs to be done one way. Your way. Whether you are a traditionalist or a modernist, today is all about you. 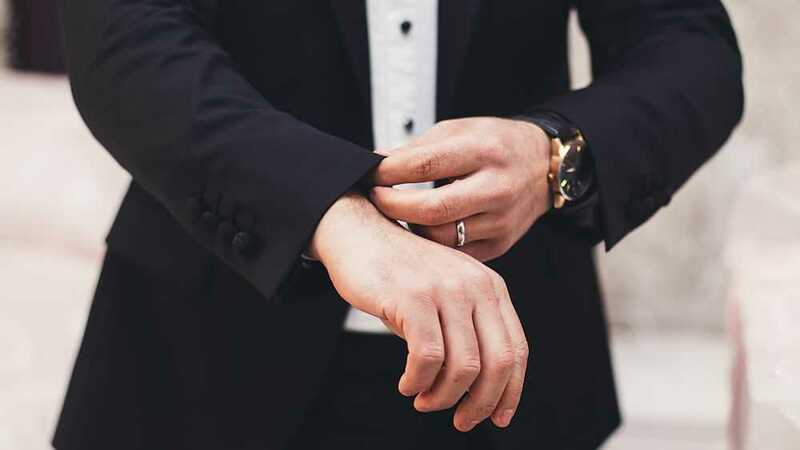 Your style, your choices and your big wedding day. So if your vision has always involved a pair of regal purple shoes, we’re here to encourage you to buy them. Yes, don’t worry about what Aunt Mabel might say when she catches a peak of the jewel-colored toes irreverently peeping out from under your bridal dress. If purple shoes are what you’ve set your heart on, then purple shoes you shall have! After all, the color purple is a majestic color, synonymous with royalty. Truly then it is befitting of a bride-to-be? The Queen of Burlesque royalty, Dita Von Teese, went all out iridescent Vivienne Westwood purple on her wedding day, proving that if you’ve got it, you really should flaunt it. Whilst your love of purple might not be emboldening you to that extent, a shoe is a perfect accessory to inject some color into your bridal scheme. 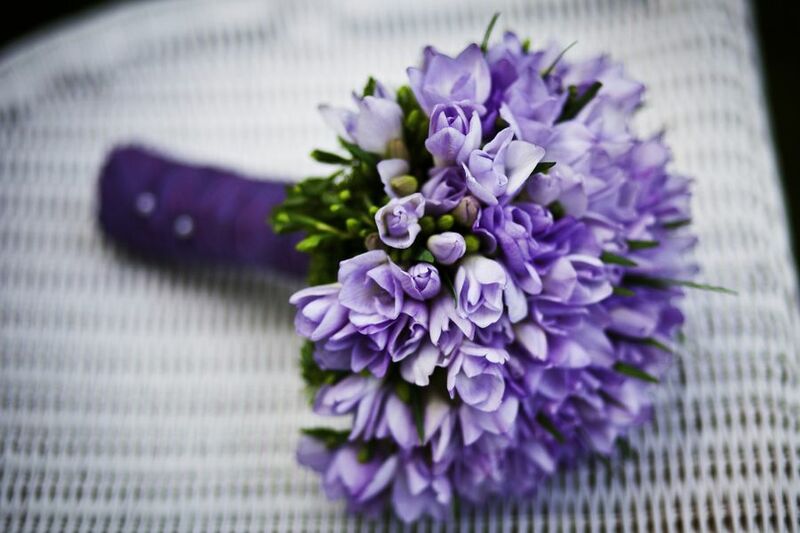 Purple is actually a very popular choice for weddings as it has a very powerful psychological effect. As well as the historical connection to nobility, purple also symbolizes power, luxury, and ambition and is often a color associated with wealth and extravagance. It makes sense then, that you might be drawn towards this hue on your all-important wedding day when you are making an enduring statement. Opting for a purple shoe is a cheeky way of injecting some color into your outfit and let’s not also forget that it also makes a fabulous base color for complimentary floral bouquets. You don’t have to go all out Cadburys purple, although this is such a stunning rich shade. There’s plenty of choice on the purple Pantone spectrum depending on how bold a bride-to-be you really are! You could opt for a subtle and very pretty lilac or orchid shade through to a deep magenta or plum. You could also go for something with more of a blue hue, like a lovely thistle color. 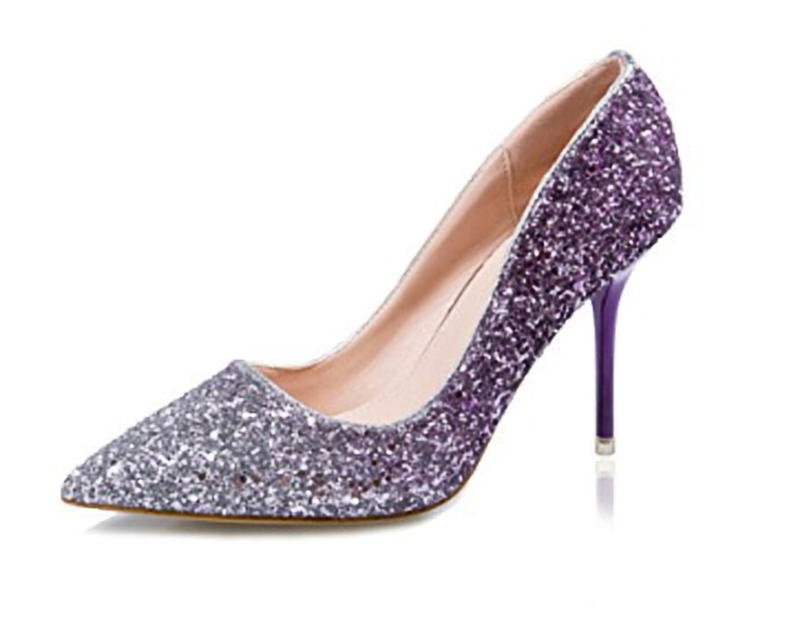 If you are considering purple shoes for your big day, then you are bang on trend. UltraViolet is actually the Pantone color of the Year for 2018. How the color purple affects us physically? 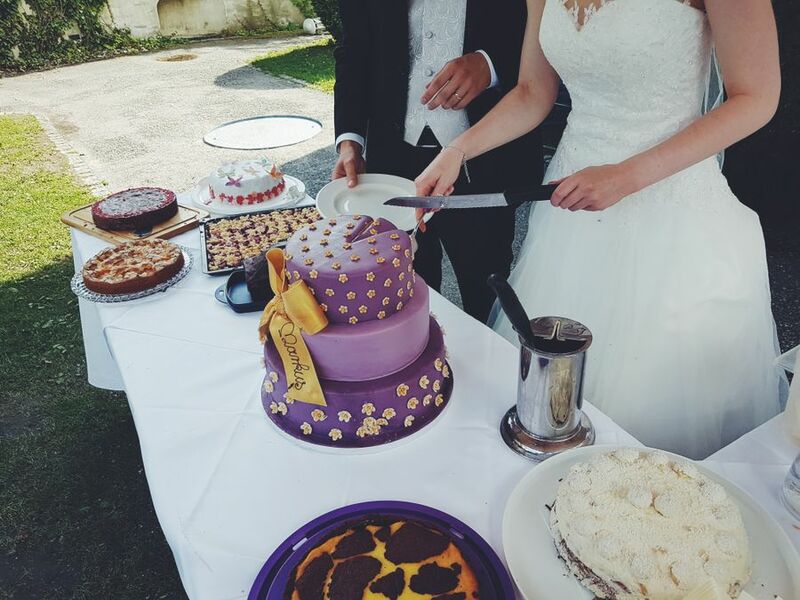 Purple is actually a wise choice for a bride-to-be as its incredibly uplifting but at the same time known to help calm the mind and soothe the spirits. A purple shoe then could be just what you need to ease the nerves on your big day. It’s also the color of the Crown Chakra, or the Sahasrara and is located at the top of the head. As a bride on her big day, you are the Queen of all you survey so again, purple is a pretty befitting color to incorporate into your scheme. You are sending out a very clear statement that you are creative and individualistic and that you intend to have the most fabulous wedding day and joyous life. What kind of purple shoes should you go for? 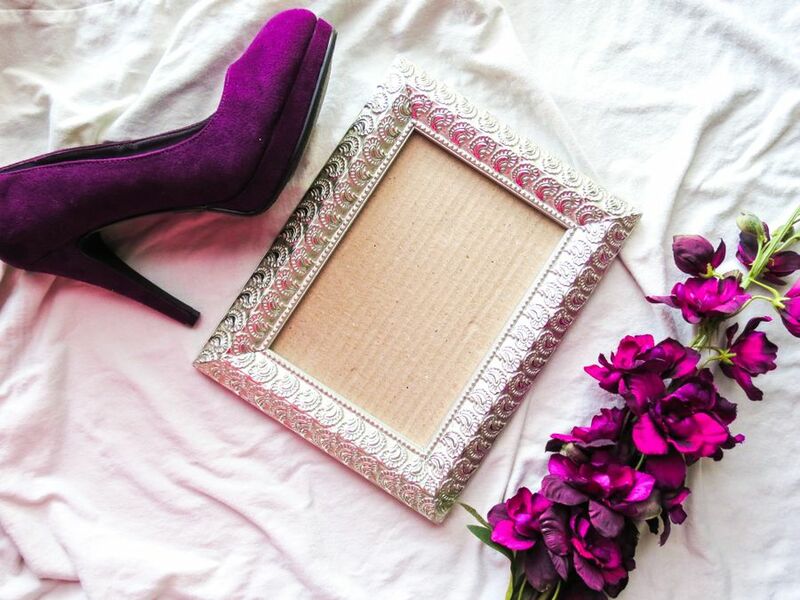 Purple is an incredibly versatile shade and one that looks great for all kinds of shoe styles. From a slingback to a stiletto, a strappy sandal to a more conservative court shoe. There are plenty of styles available that will meet all budgets. If you are looking to really make a statement, then these Glitter strappy sandals from Little boutique look sensational. Perfect to take you from day to night, you’ll want these shoes to do more than a peep out from under your dress. They are beautiful enough to be the stars of the show in their own right. With their embellished leather detailing and accents of purple flowers, they really are head-turning shoes for your big day. 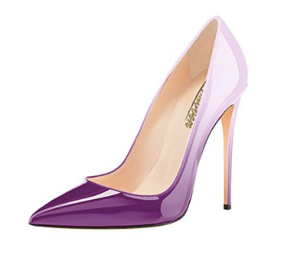 Prefer a more classic and elegant looking purple peep toe? Then these beautiful rhinestone encrusted shoes from Elegant Park will be simply stunning. They make the perfect wedding or cocktail party shoe and have a wearable 4-inch heel which will give you some extra height and gravitas but without worrying about teetering down the alter! Made from a luxurious satin, they’re a lovely open toed design. These glittery style purple pumps really make a fun statement and will bring some extra drama and sophistication to your overall wedding attire. For any self-professed fashionista who is keen to inject plenty of her own personality and style into the day, these make a fabulous choice. 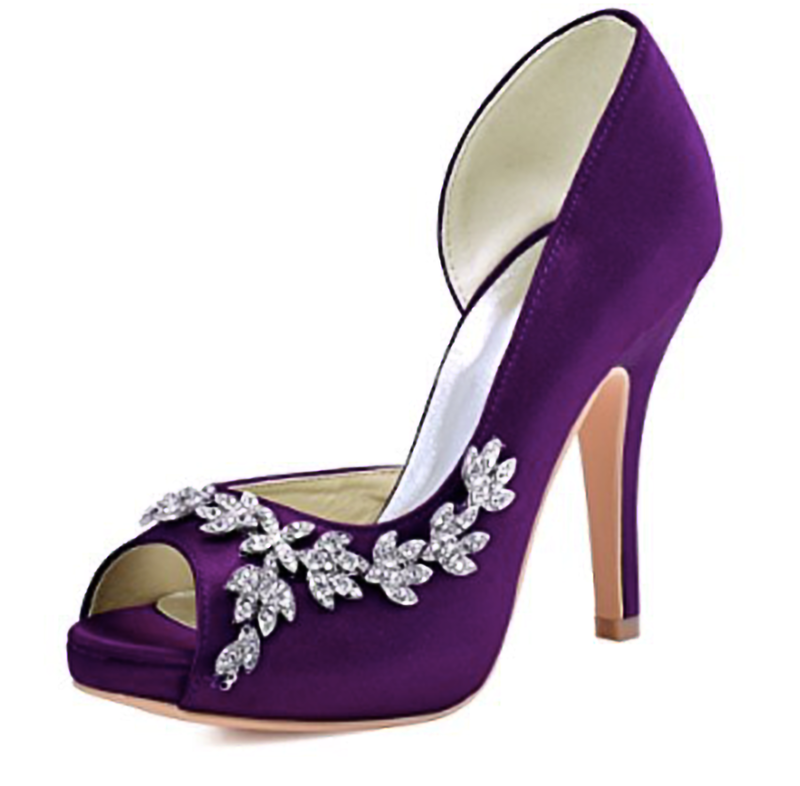 Crafted from a beautiful purple satin and lace and featuring a statement rhinestone brooch, these Luuxveer wedding shoes will perfectly complete your outfit. Combining lace with a sparkling silver diamante floral design brooch these shoes are elegant, feminine and exquisitely crafted. They’re a simply stunning choice for your wedding day. These are show stopping killer heels for your wedding day. In a gorgeous two tone effect purple and lilac color they truly are a beautiful looking shoe and very stylish for the thoroughly modern bride-to-be. They can also be customized to feature an iconic red sole for the Louboutin look on a budget. If you have a little more cash still left to splash, then these glorious purple pumps from fashion savvy brand Badgley Mishka will have you skipping down the aisle with delight. They are stunningly finished off with a crystal floral style spree, lending even more elegance and sophistication to these purple pumps. 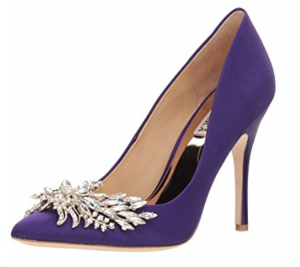 On the day that you are marrying your very own Prince, throwing in a touch of purple via your shoes will totally transform and complete your stunning bridal attire.